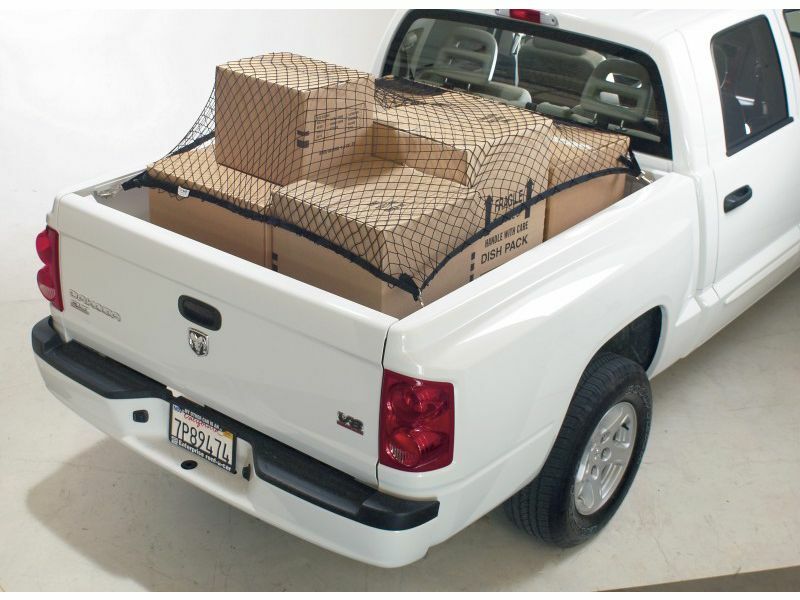 3 Sizes: The Truck Bed Cargo Safety Net comes in 3 sizes. UV Resistant Non-Elastic Net: Made out of non-elastic net that is UV resistant. Conforms to Any Shape: The Safety Net will conform to any shape or size which makes it easy to haul all sorts of items from boxes, sports equipment to groceries. Installs in Seconds: Installs in seconds with no tools and attaches to tie-downs. Optional Extension Straps Available: the Extension Straps work great to shorten or lengthen your cargo hauling needs. Keep your cargo safe in the back of your truck bed with the Core Safety Net. The Safety Net will conform to any shape or size which makes it easy to haul all sorts of items from boxes, sports equipment to groceries. The net is made from a non-elastic material that is UV resistant. The net comes with an adjustable perimeter strap that makes sure that your cargo is secure. The safety net also comes complete with fasteners for all four corners that attach to tie-downs. The Cargo Safety Net can be removed in seconds when not in use, or left in place all year around because of its all-weather components. Easy to use, works great for securing items in your bed. A great cost effective solution to securing cargo.